Delwende is a 2005 Burkinabé drama film directed by S. Pierre Yameogo about a mother and daughter resisting to succumb to a local sexist tradition. It was screened in the Un Certain Regard section at the 2005 Cannes Film Festival where it won the Prize of Hope award. Louis Marie Malle was a French film director, screenwriter and producer. His film Le Monde du silence won the Palme d'Or in 1956 and the Academy Award for Best Documentary in 1957, although he was not credited at the ceremony; the award was instead presented to the film's co-director Jacques Cousteau. Later in his career he was nominated multiple times for Academy Awards. Malle is also one of the few directors to have won the Golden Lion multiple times. The Palme d'Or is the highest prize awarded at the Cannes Film Festival. It was introduced in 1955 by the festival's organizing committee. Previously, from 1939 to 1954, the highest prize at the festival was the Grand Prix du Festival International du Film. In 1964, The Palme d'Or was replaced again by the Grand Prix, before being reintroduced in 1975. Carole Bouquet is a French actress and fashion model, who has appeared in more than 50 films since 1977. She played Bond girl Melina Havelock in the 1981 James Bond film For Your Eyes Only. In 1990, she was awarded the César Award for Best Actress for her role in Too Beautiful for You. The cinema of Burkina Faso is one of the more significant in Africa, with a history that spans several decades and includes the production of many award-winning films. 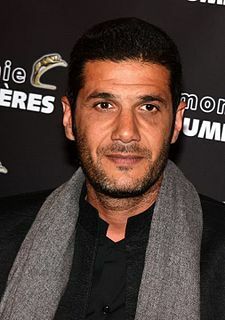 Nabil Ayouch is a French-Moroccan television and film director, producer and writer of Moroccan origin. Brothers Jean-Pierre Dardenne and Luc Dardenne, collectively referred to as the Dardenne brothers, are a Belgian filmmaking duo. They write, produce and direct their films together. Jean-Pierre Bacri is a French actor and screenwriter who frequently works in collaboration with Agnès Jaoui. Michel Brault, OQ was a Canadian cinematographer, cameraman, film director, screenwriter, and film producer. He was a leading figure of Direct Cinema, characteristic of the French branch of the National Film Board of Canada in the 1960s. Brault was a pioneer of the hand-held camera aesthetic. Keïta! l'Héritage du griot is a 1995 Burkinabé drama film directed by Dani Kouyaté and starring Sotigui Kouyaté. 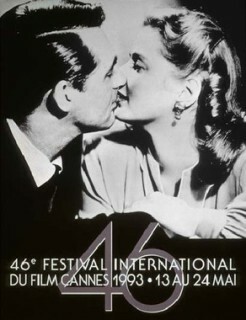 The 44th Cannes Film Festival was held from 9 to 20 May 1991. The Palme d'Or went to the Barton Fink by Joel Coen and Ethan Coen. Pierre Jolivet is a French director, actor, screenwriter and producer. His film Zim and Co. was screened in the Un Certain Regard section at the 2005 Cannes Film Festival and his film The Night Watchman won the Golden Goblet Award for Best Feature Film in 2015. ↑ "Festival de Cannes: Delwende". festival-cannes.com. Retrieved 2009-12-06.